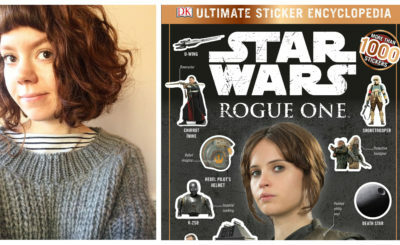 Verona Blue is an actress who voiced several characters in The Force Awakens, Rogue One, and the video game Battlefront II. 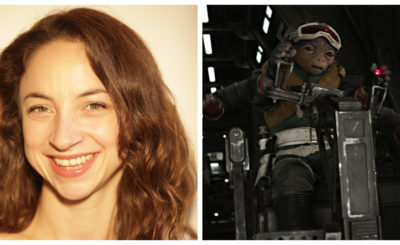 Some of the voices she portrayed include the voice of the female First Order trooper in The Force Awakens (photo upper right) and the voice of the antenna computer on Scarif in Rogue One: A Star Wars Story. 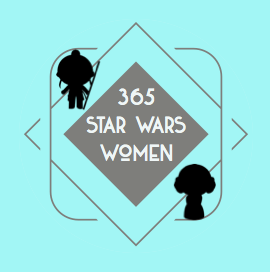 Verona was kind enough to answer a few questions via email for 365 Days of Star Wars Women. Are you a Star Wars fan? 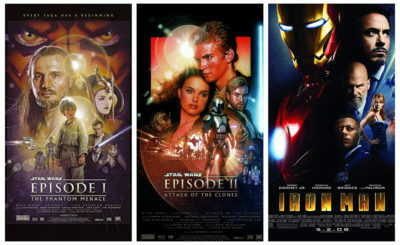 If so, when did you you get introduced to Star Wars and what is your favorite film or TV show? Hi! I am Verona Blue, I went to the Bristol Old Vic Theatre school in the UK, but I am originally from Toronto, Canada – and I am a huge Star Wars fan! My left arm is fully sleeved with a tattoo telling the story of the Stormtroopers, starting with Jango as the original on Kamino and the lineage from Clone trooper to Classic trooper. My sleeve won “best large colour” for the first ever Lucasfilm tattoo contest at SW Celebration 3, an award I display proudly in my living room. I also used to have a cat named Droideka and my heart-dog (who has now passed) was named Chewie. I really adore Star Wars, I’ve been a member of the 501st since early 99 and and am always and forever Dark Side. My favourite SW film was Jedi, for a really long time, and then it morphed one day to Empire and now… I don’t know. I loved The Force Awakens so much and I actually had the opportunity last October to speak to JJ Abrams and I thanked him for creating Rey. Can you tell me a bit about the voiceover work you’ve done for Star Wars projects? Did you need to keep your involvement in The Force Awakens a secret for a long period of time? Did people who knew you recognize your voice as the First Order trooper? I have worked on all of the new SW films so far, as well as Battlefront 2, providing voices for secondary and background characters. I was the first ever female stormtrooper in The Force Awakens (I speak to Kylo Ren after Rey escapes) and I also provided all the PA announcements on the rebel base (you can hear them most clearly when Finn arrives for the first time to meet Leia). I also filled in a variety of cantina voices, rebel pilots and officer chatter throughout TFA and Rogue One. Working on these films is a huge thrill but you sign your life away to secrecy so no one knows anything and you can’t talk about it or how excited you are. Fortunately, the recording is one of the last parts of the production so we don’t have to bite our tongues for too long. It must be agony for someone who loves Star Wars and is also working on set from day one. 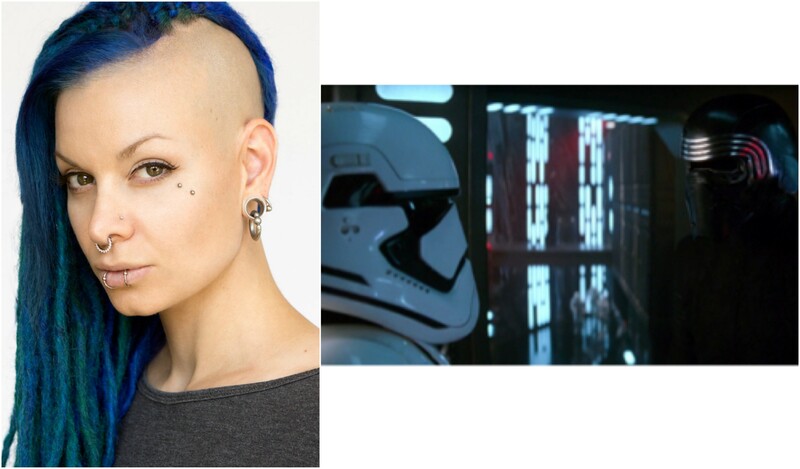 Verona Blue was the voice of the antenna computer in Rogue One. Prior to providing voices for Star Wars I did some industrial and education voice over projects for private companies. I am the voice of an entire training program for stock brokers for a Canadian bank! Since starting on the Star Wars films I’ve had the opportunity to work on some other small video game and VR projects as well as Battlefront 2 which was the WEIRDEST thing I’ve ever done. When we work on the movies we do all the officer and rebel voices in English. When working on the video game they weren’t going to translate the secondary and background characters so we had to do them in gibberish… but it had to SOUND like English, which is REALLY HARD and hilarious. I was in the first take of the day and as soon as one of my colleagues dove in to his “British accented English-sounded gibberish” I was overtaken with laughter and had to shove my scarf in my mouth so that I didn’t ruin the take given that I was standing directly in front of a microphone. After the director called cut on our group the entire room erupted in laughter. Everyone had been holding their breath, faces shoved in bags and pillows and knees, to keep it together. It was one of those days where you couldn’t look anyone in the eye or you’d start to laugh. One of my favourite parts of providing voices for these films is the incredible group of people I get to work with and learn from. There’s some really prolific and talented people who are in our “loop group” and it’s humbling and wonderful to be able to watch them work. I definitely take my cues from some of the more experienced voice actors and try to step up my game every time, and just go for it with wild choices. My friends who know where to find my voice always recognize it and I have received some emails and comments from parents telling me that their daughters were really excited to hear a woman’s voice come out of that First Order helmet. I am so proud to be part of that moment of delight. Do you have a favorite female Star Wars character or a female character you would either like to voice or play? What projects are you working on now or have coming up? If I had my druthers I would DEFINITELY play Aurra Sing in a live action bounty hunter TV show, or some kind of Sith. I hope I have the opportunity to perform an on-camera role in the Star Wars universe, but to be honest this has been such a huge dream come true already. I am currently on a show called BOSCH on Amazon and I worked on a pilot (currently untitled) so far this year. I have my fingers crossed about doing more animation voice over, and of course more Star Wars properties. Verona is represented by Kazarian/Measures/Ruskin and Associates and you can see more of her work at VeronaBlue.com. She is @bathori on twitter and bathori on Instagram.